Home-building overall stalled in January, but more permits indicate construction will pick up in the months ahead. Single-family construction rose 1.9 percent in January to a rate of 823,000, up from 808,000 in December, according to the U.S. Census Bureau and the Department of Housing and Urban Development (HUD). Privately-owned construction fell 2.6 percent to a rate of 1,246,000, down from 1,279,000 in December—though 10.5 percent higher than the January 2016 rate of 1,128,000. 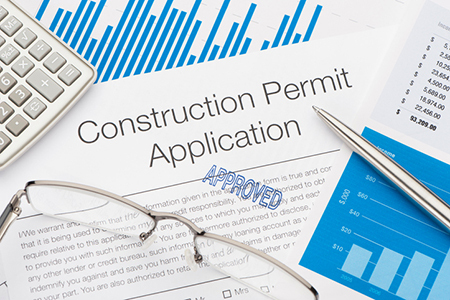 “Today’s reported decline in housing starts and completions weren’t statistically significant, but the big increase in permits was a good sign that we are on track for more much-needed new construction in the months to come,” says Joseph Kirchner, senior economist at realtor.com®. “Numbers for new residential construction in January indicate a shift from multifamily to single-family homes that is clearly evident in completions, but not so in permits and starts, which could suggest it is a mild correction, rather than a trend. Permits for privately-owned housing in January rose 4.6 percent from December to a rate of 1,285,000, an 8.2 percent increase from January 2016—movement that lays the groundwork for future construction. Permits for single-family housing, however, fell 2.7 percent to a rate of 808,000. The National Association of Home Builders (NAHB) anticipates a 10 percent increase in single-family construction in 2017, and a 12 percent increase in 2018. Privately-owned housing completions, at the same time, fell 5.6 percent from December to a rate of 1,047,000, a 0.9 percent decrease from January 2016. Single-family completions rose 4.3 percent to a rate of 800,000. Starts for buildings with five units or more came to 421,000 in January, while permits came to 446,000 and completions to 244,000.